Three Russian sailors have been rescued from a small island off the coast of Wales today after getting stranded while returning from a night out. The sailors left their ship, anchored off Minehead, Somerset, last night and went to Barry in south Wales in a 13ft inflatable dinghy. After a night out drinking, they set off to return at around 3.45am but never made it back after getting lost in foggy conditions. A search and rescue operation was launched by the RNLI and Coastguard shortly after 8am today, including a Coastguard helicopter. They were discovered shortly after on Flat Holm island in the Bristol Channel, which is around four miles from the mainland. A coastguard spokesman said: ‘Three missing Russian crew have been found safe and well in the Bristol Channel. 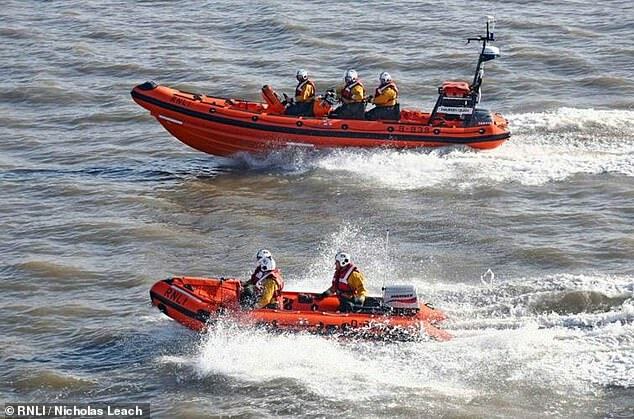 ‘The three crew members were reported missing in the early hours of Thursday after they had left Barry on a rib to return to their vessel that is anchored in the Bristol Channel. 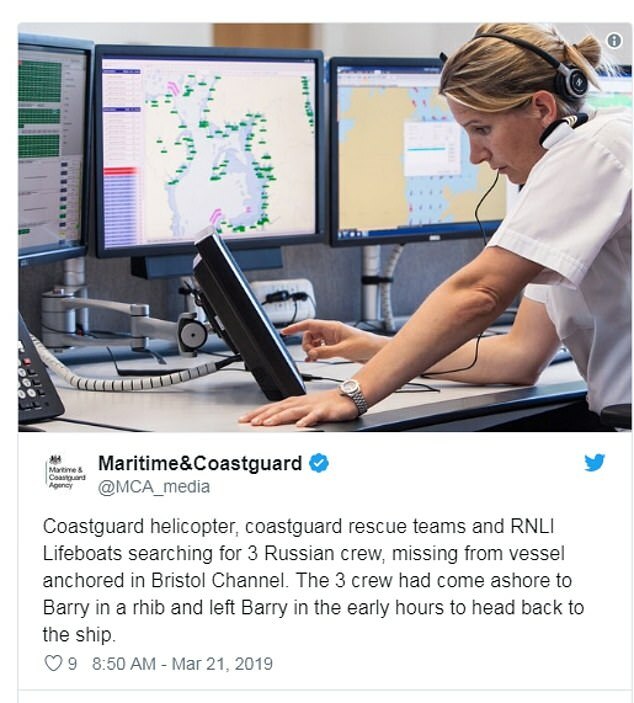 ‘The trio were found after an extensive search involving the Coastguard search and rescue helicopter from St Athan, Barry Coastguard and RNLI lifeboats from Barry and Milford Haven. 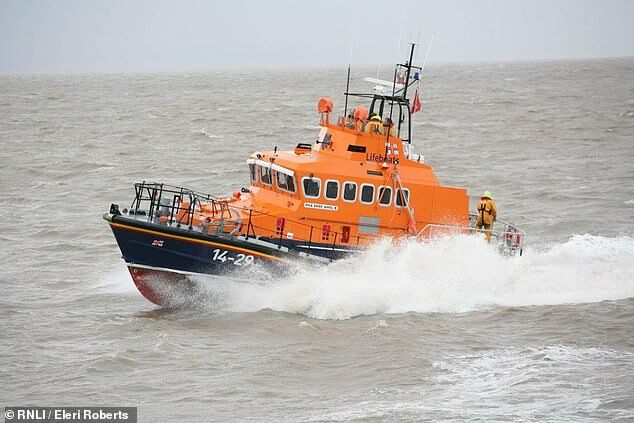 Andy Berry of Penarth lifeboat said: ‘A Dutch registered motor vessel was moored off Minehead. ‘Three sailors took a RIB boat over to Barry. They left about 3.45am but failed to return so a launch was initiated. ‘Other lifeboats including Barry Dock lifeboat launched earlier than us. We were tasked to assist at 7.50am. 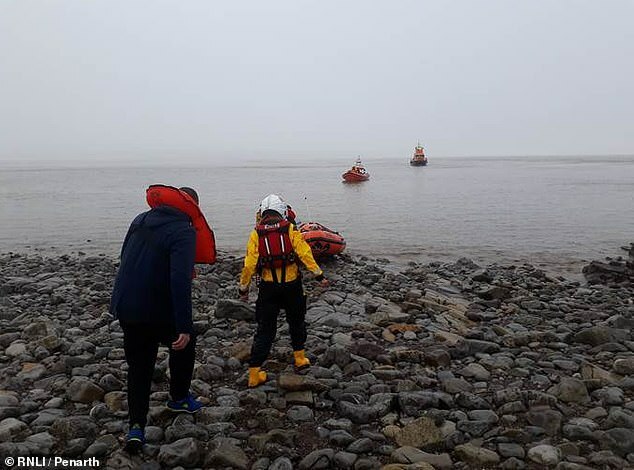 ‘Penarth lifeboats carried out a search of the area and found the sailors on Flat Holm. They were cold but otherwise well. ‘Five lifeboats in total plus the rescue helicopter. Casualties taken back to Barry for medical checks.